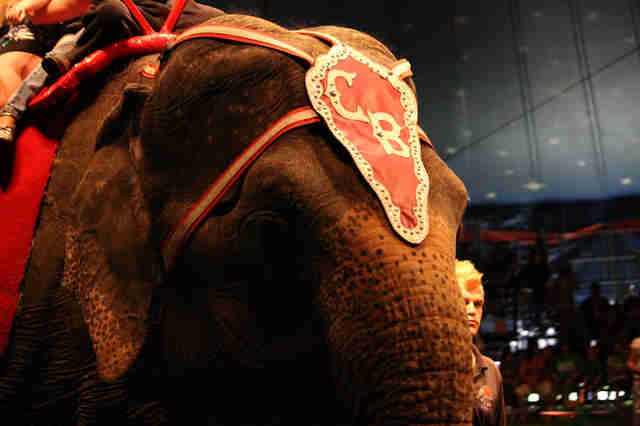 Ringling Bros. and Barnum & Bailey Circus, long a target of animal welfare advocates, announced Thursday it will phase out all elephant acts by 2018. That's a positive sign, but there are still plenty of other captive elephants in the U.S. - about 600, according to Tennessee pachyderm refuge The Elephant Sanctuary. UniverSoul came under fire in February after a trainer allegedly inserted a pronged bullhook into an elephant's mouth. Using bullhooks in Georgia circuses - this group is based in Atlanta - is legal, but inserting them into mouths or other orifices is against the law. 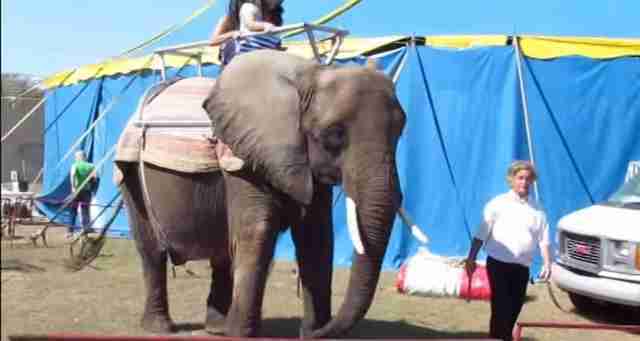 Nosey, who was orphaned after poachers killed her mother, has spent 20 years with the Liebel Family Circus in Florida. 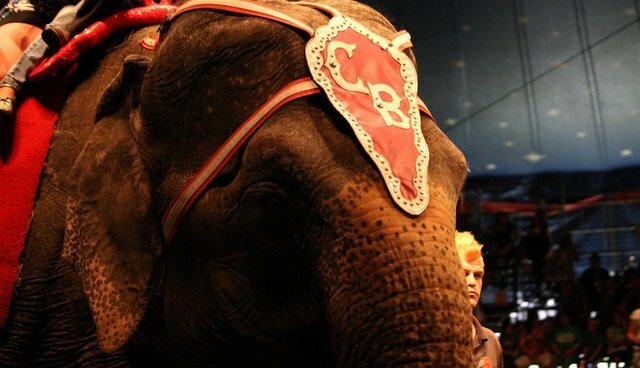 Nosey is suffering from skin problems that have gone untreated for years, according to a PETA complaint. She also lives alone in too-small quarters. Animal welfare group Born Free USA lists several inhumane incidents, including failure to provide elephants shelter during bad weather and chaining the animals in place for 100 hours at a go, at Oklahoma-based circus Carson and Barnes. 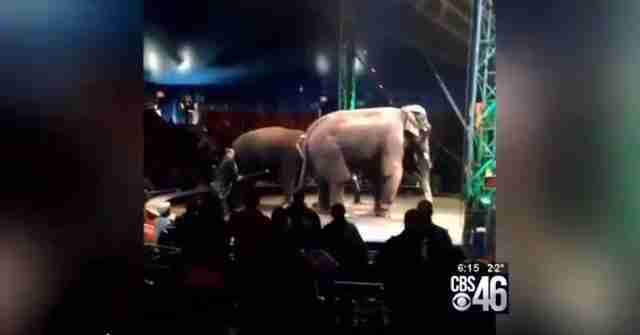 PETA has chronicled five years' worth of violations at this Florida circus, noting that the "USDA has cited Piccadilly Circus exhibitors for forcefully striking an elephant with a bullhook." A trainer allegedly struck the elephant with a hook to stop the animal from eating hay, the group said. A sole African elephant named Asha lives at this Virginia zoo. The zoo is not a member of the Association of Zoos and Aquariums, nor does it meet the AZA standards. To meet accreditation minimums, elephants - because they are social animals - need at least two other pachyderm companions. 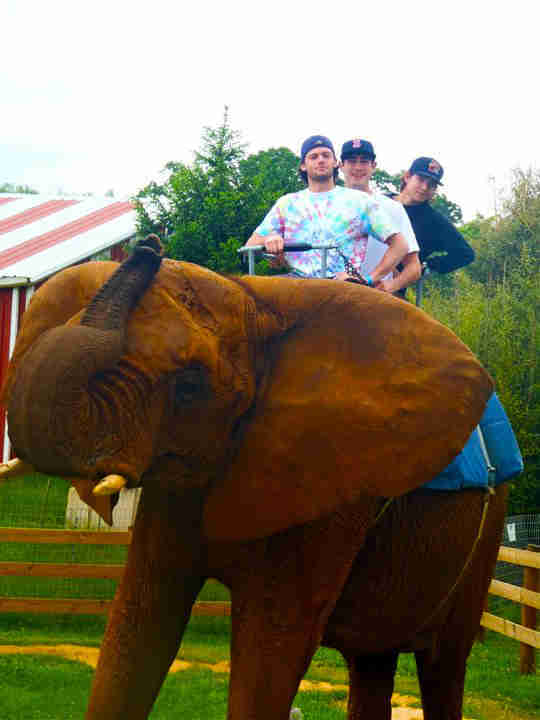 Natural Bridge Zoo was under a USDA investigation in January, and animal welfare group In Defense of Animals included the zoo in its 2014 "Ten Worst Zoos For Elephants." About 70,000 people have signed online petitions demanding the zoo's closure. This post has been updated to clarify that the Natural Bridge Zoo is not a member of the Association of Zoos and Aquariums.